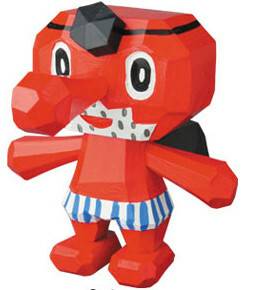 Medicom teamed up with the genius wood carving artists, "KENJI MURABAYASHI" from Osaka. 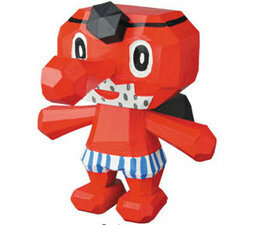 He is the master of analog polygon with the chisel, and he showed it with the Good Luck Fortune Tengu. The Good Luck Fortune Tengu by Kenji Murabayashi 4-inch tall (10 cm) and is Made of American Yellow Cedar wood, painted wuth Acryl Gouache paint and a Matte varnish finish and packed in a nicely designed Header Bag.